Did you see my FB or instagram posts!? Then you know I've gone shopping. Today was staples. Now, you might remember, I work at a title I school. 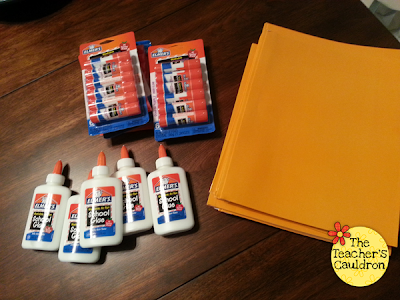 So, a lot of my kids won't come with all the supplies I ask for. So, I try to get what I can before school. Today was great though. 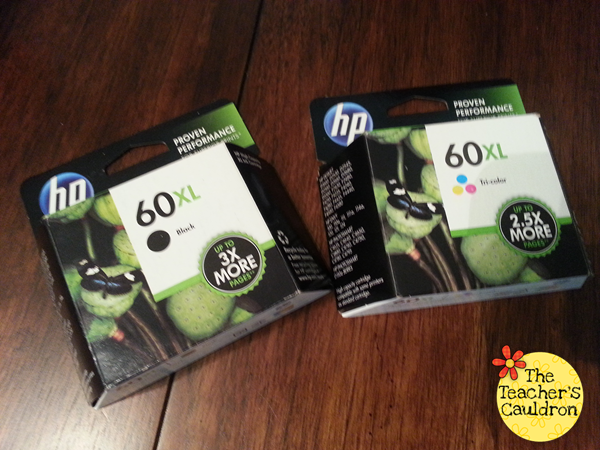 I used like 4 coupons from my weekly staples ad (check online for yours!). I got 20 composition books so I could do my phonics notebooks. and 20 spirals. These, I use for writing journals. 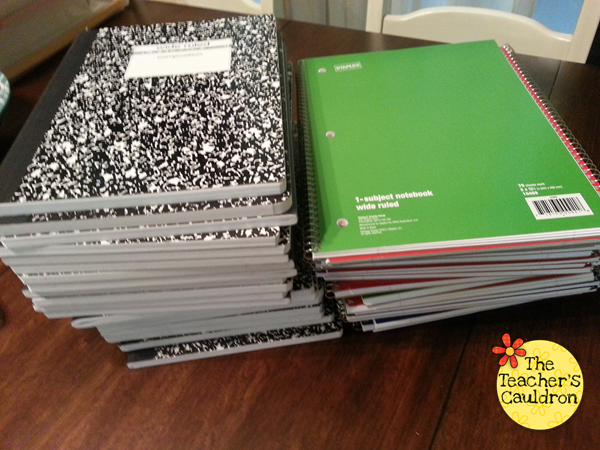 But I also have a stack at school that are cut in half for math journals! Yep...that was me, last year. I also had a 50% off coupon for dry erase markers...so I bought some for my white board, and then my centers. I also stocked up on some gluesticks and crayons....because it's like they EAT them...does this happen in your room?? I mean, seriously!?! And this glue is probably good for like 1 week - haha! annnnnd of course I stalked up on ink...I had a $15 off coupon, so why not?! I got more gluesticks and bottled glue...and a class set of 3 pronged folders for our poetry journals! Can't wait to show you those! And my trip to Lakeshore? (if you follow my instagram, you saw that last week), I only bought TWO things...yep...that's right. I bought the big money because I needed the coins. I've had this box for a few years, but this year, my coins went missing...grrr....so I needed to get the box again because I use that ALL the time with my Numbers Every Day pack. what have you bought so far?! Great finds! Holy moly do my students go through glue sticks and pencils! I'll definitely check out my Staples! Love the idea of cutting spiral notebooks in half for journals! Thanks for sharing! 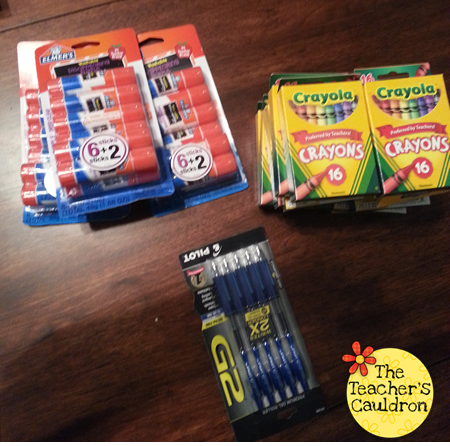 You have so many great finds & I too swear that the kids eat the pencils, crayons (especially red), & glue sticks. 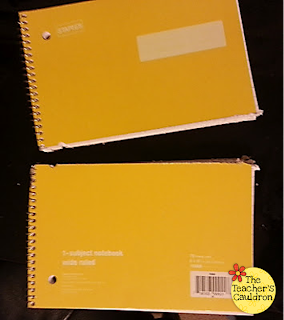 Was it easy to cut the notebooks? Did you have to do anything special to them before cutting? 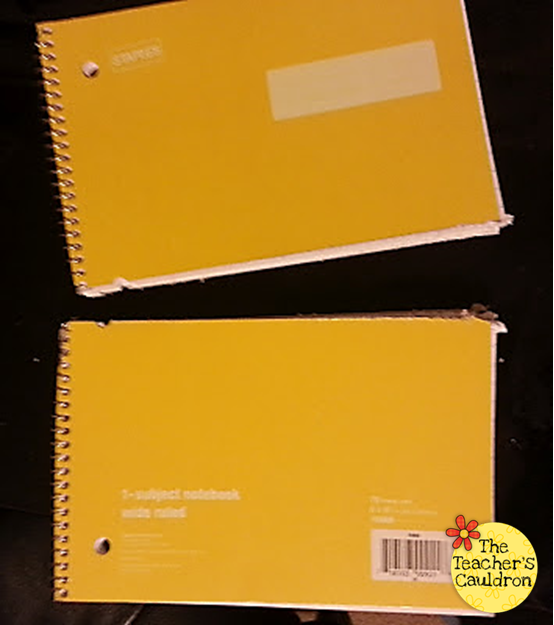 I had trouble cutting the composition notebooks last year. SO I opted for small journals from Really Good Stuff. I will be school shopping with 3 grandsons on Wednesday and I'm excited for the 'treasures' I'll find for myself. 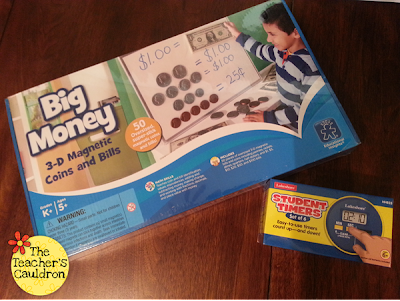 Great haul of school goodies. I need to do some shopping this week since I saw a few good deals too. Office Max will cut composition books/ notebooks in half a few at a time for a a small fee. I haven't started my shopping. Maybe I'll start in the morning. I try to avoid the back to school section until the sales really kick in, but... I have been grabbing manila paper every time I go to Walmart. They never stock enough and it goes so fast! Wow! 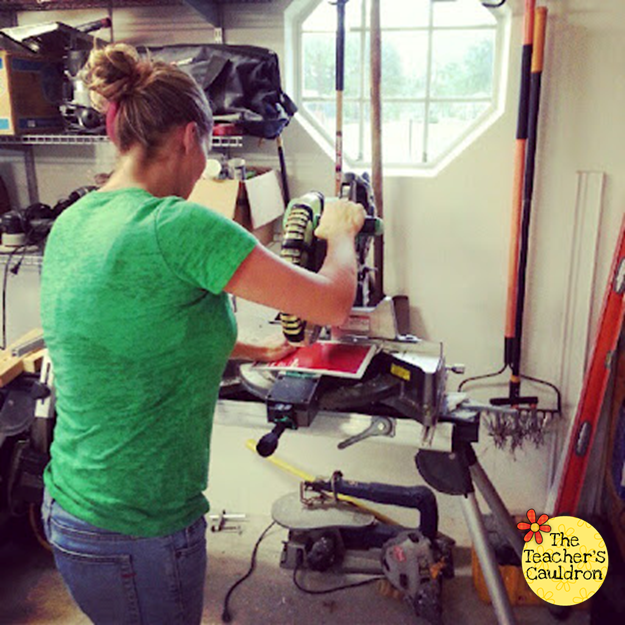 Does the saw really work on cutting spiral notebooks? I keep thinking that I'm finished but so many new cute ideas pop up. I've hit staples and the dollar store. I love for the kids to have their own word boxes which are so hard to find (cheaply). I went with my sister-in-law to Walmart and found 2 dozen fir $1.88 each. Best deal yet. Awesome stash of goodies. 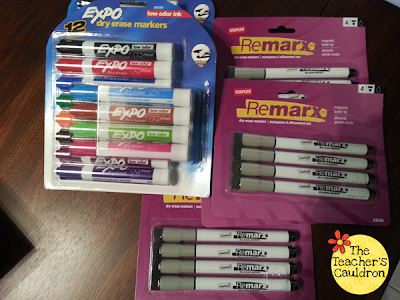 Thanks for the heads up about the Staples coupon for dry erase markers - I've been putting that purchase off! Thanks for the heads up! I went to Staples after getting the online coupons. 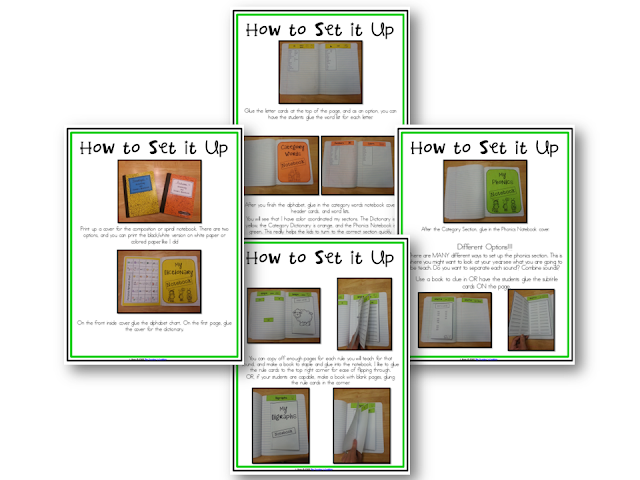 I saved a bundle on full sheet labels which were 50% off and bright paper which was buy one get one free as well as the markers and other things you mentioned. Thanks soooo much for putting it on facebook!